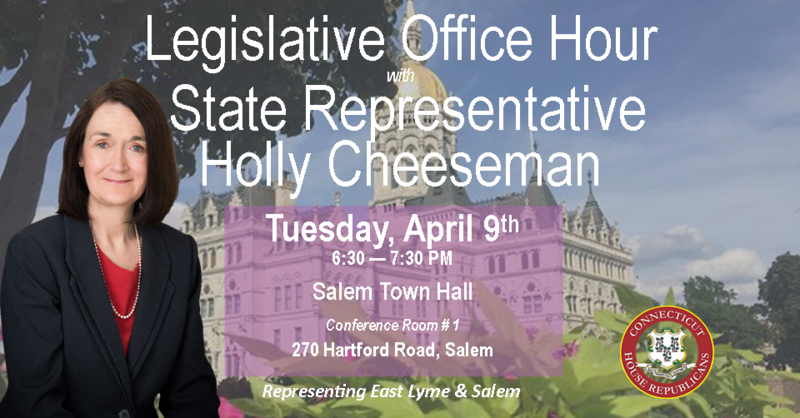 HARTFORD – State Representative Holly Cheeseman (R-37) is inviting constituents to meet with her at the Salem Town Hall to discuss what’s happening at the Capitol this session. Rep. Cheeseman will be reviewing current major issues and the status of the state budget. Constituents are encouraged to attend if they have any questions or concerns about state government. 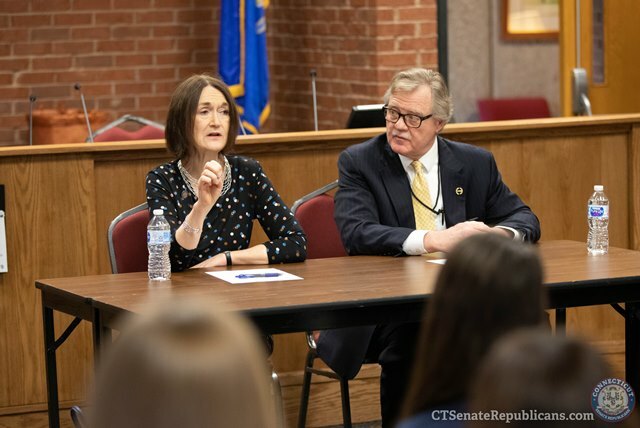 EAST LYME – Last week State Representative Holly Cheeseman (R-37) and State Senator Paul Formica (R-20) spoke as panelists to the Eastern Connecticut Chamber of Commerce’s Leadership Program Class of 2020 at the East Lyme Town Hall. The legislators explained their roles in leadership in their careers. 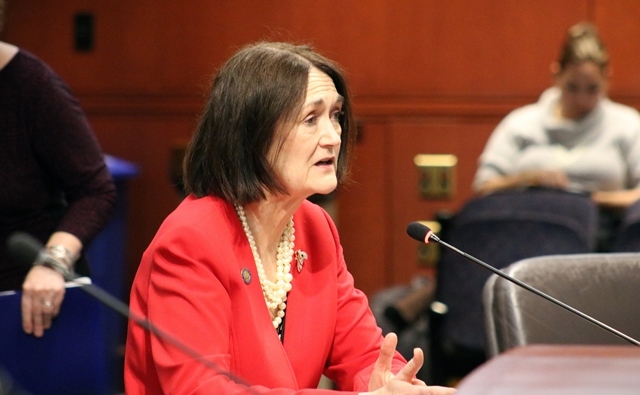 “Don’t be afraid to step forward,” Rep. Cheeseman advised the class. This program prepares promising leaders for positions of responsibility by acquainting them with significant community processes and pressing issues. Participants engage in discussions with established leaders, go behind-the-scenes at the region’s key institutions, build their leadership skills, create a lasting network of contacts, and give back to the community with a meaningful group project. 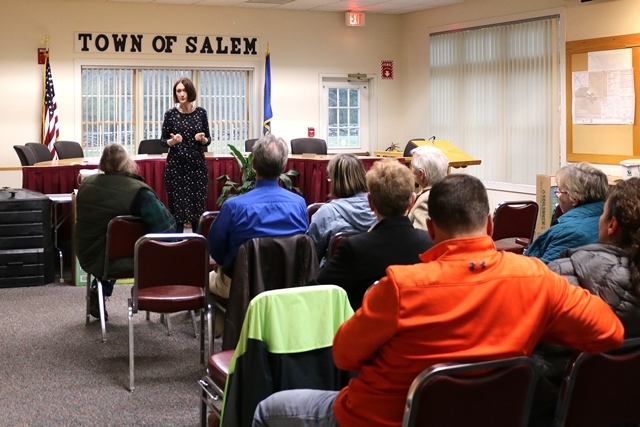 In the coming weeks I will be starting up a Business Advisory Council (BAC) comprised of local Salem and East Lyme employers to discuss the impact of proposed legislation and policies. 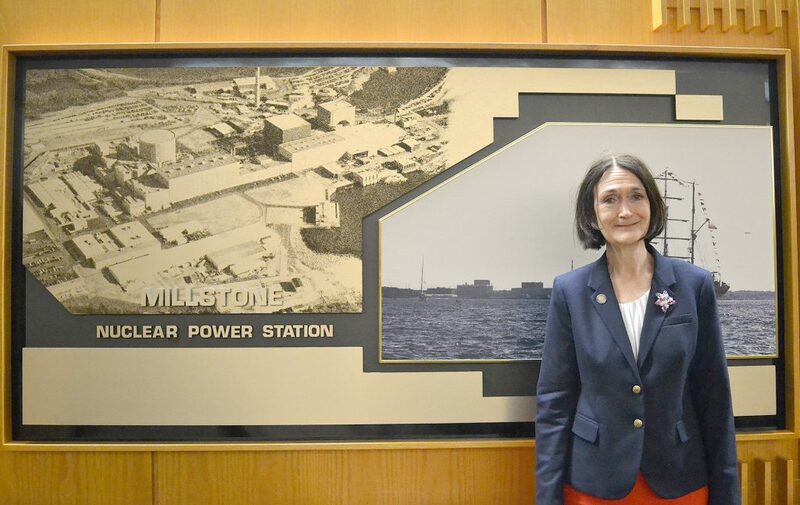 HARTFORD – Reps. Kathleen McCarty, Holly Cheeseman and Sen. Paul Formica applauded an announcement made by Governor Ned Lamont and Department of Energy and Environmental Protection (DEEP) Commissioner Katie Dykes on Friday, March 15th that Dominion Energy and Connecticut’s two electric utility companies, Eversource and United Illuminating (UI), have reached an agreement to retain the Dominion-owned Millstone nuclear facility, which the legislators explained is good news for the state’s environment, economy, and ratepayers. 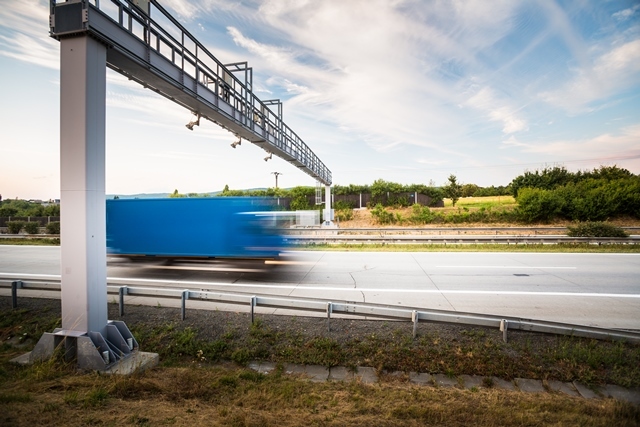 On Tuesday evening on April 2nd the Department of Transportation will conduct a public meeting regarding the replacement of a culvert on Route 1. The meeting will be held at 6:30 p.m. in the East Lyme Town Hall 108 Pennsylvania Avenue, Niantic. Please read the notice from DOT for more information.